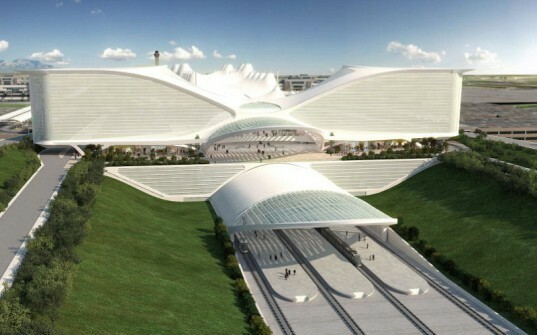 Renowned architect Santiago Calatrava just unveiled his design for a new rail station at the Denver International Airport as part of the location's South Terminal Redevelopment Program. The new expansion will add a rail link from downtown Denver that terminates at the airport as well as a hotel, a retail plaza and a rail bridge over Pena Boulevard. Calatrava, who has become known for his sweeping arches and impressive facades (and particularly, for his rail stations), will add his iconic style to the iconic airport as well the city of Denver.